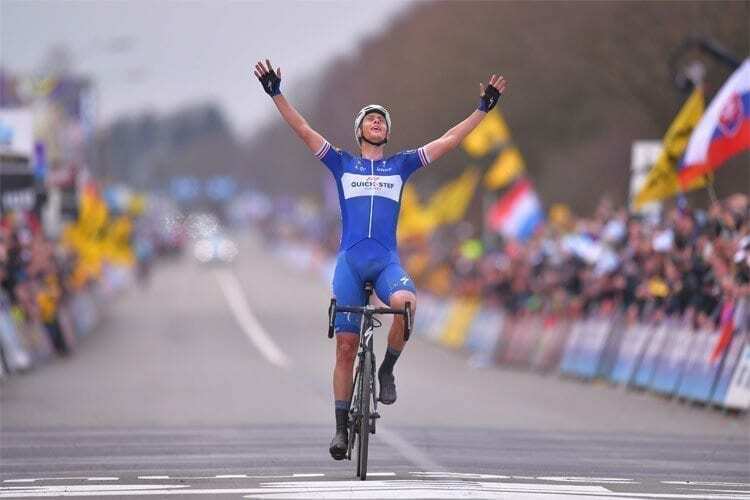 Niki Terpstra continued the team’s dominance in the Belgian one-day races of this season, adding a 16th Monument victory to the astonishing palmares of the squad, just two days after Quick-Step celebrated 20 amazing years in cycling. Victorious this season in Le Samyn and E3 Harelbeke, each time after going solo in the final part of the race, Niki repeated that scenario at the Ronde van Vlaanderen, where he took his second career Monument, following the emphatic Paris-Roubaix triumph of 2014. “It’s incredible! Winning De Ronde and Paris-Roubaix was a dream I had since I was a kid and watched these two races on television. That’s when I fell in love with them and now, having won both, it gives me huge joy. I can’t tell you how happy I am! To be victorious in these races you need very good legs, but also luck. Today, everything went perfect for me”, a happy Terpstra said after netting Quick-Step Floors’ 21st victory of the season. Quick-Step Floors rode a perfect and intelligent race on Sunday right from the outset, sending the hard-working Tim Declercq, Iljo Keisse and Florian Sénéchal at the front of the peloton minutes after leaving Antwerp behind, and the three policed every move and reeled in all the attackers, allowing eleven men to go clear only after 70 kilometers. Even after things calmed down, the same fantastic trio continued to set the pace and made sure the gap didn’t go north of five minutes before the first hill of the day, the 2200m-long Oude Kwaremont. Despite a series of accelerations on the iconic Muur-Kapelmuur and Koppenberg, the race didn’t break and the favourites stayed together. Quick-Step Floors had the numbers in the group, with Philippe Gilbert, Yves Lampaert, Zdenek Stybar and Niki Terpstra. Stybar, one of the most consistent riders of this spring campaign, with three consecutive top-10 placings, was the one to counter an attack of Greg Van Avermaet (BMC) on the Taaienberg, before trying a move of his own after cresting the Kruisberg. Soon after they were caught, Vincenzo Nibali (Bahrain-Merida) powered ahead and was joined by Niki Terpstra, who then took the front and dropped the Milano-Sanremo winner as the Oude Kwaremont was looming on the horizon for the third time. 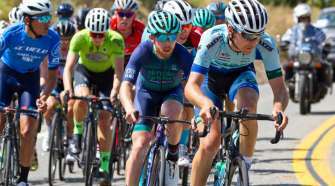 At the moment of his attack, the Dutchman was 40 seconds behind a leading trio, but using his time trial skills he reduced the gap by the time he hit the bottom of the climb, while behind his teammates disrupted the rhythm of the chasers. A two-time podium finisher at Ronde van Vlaanderen (2015 and 2017), Terpstra rode flawlessly on the long Oude Kwaremont, a hill which is a regular feature on the race since 1974, making contact with three riders in the front and dispatching them before putting some distance by the top of the berg and continuing his solo action. Not even the Paterberg, with its grueling cobbles and slopes, could stop Niki, who tenaciously extended his lead before going into time trial mode for the 12km-run in to Oudenaarde. Crouched over his bars and without looking behind, the 33-year-old Quick-Step Floors rider sat up to relax only inside the final 100 meters of the race, when overwhelmed by emotion and happiness, he crossed the line arms aloft for a win that cements his status as one of the best Classics riders of the current peloton. Defending champion Philippe Gilbert claimed third place, behind runner-up Mads Pedersen (Trek-Segafredo), following a canny attack with one kilometer to go. For Philippe, who played an important role once again, this was the tenth top-3 finish of his career in a Monument. “We showed again that amazing team spirit, we showed that we are there for our teammates, ready to give everything so that the win lands in the team. 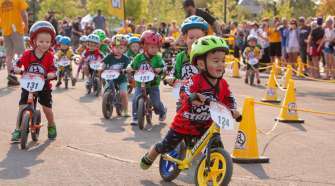 The entire squad knew what they had to do and made a perfect race. The strongest rider won today and I’m happy for Niki, he rode a strong and smart race. Last year, I won and he came third, this time around, we arrived at the finish in reverse order. We are enjoying a fantastic run of success and hopefully we won’t stop here”, said Philippe, who one week from now will be at the start of Paris-Roubaix. After soloing to glory following his daring all-in attack with 26 kilometers to go and putting in another storming performance, Niki – only the third Dutch rider in history to win both the Ronde van Vlaanderen and Paris-Roubaix and the first since 1986 to score the victory in Flanders – took us through the final hour of racing and showed his praise for his teammates. 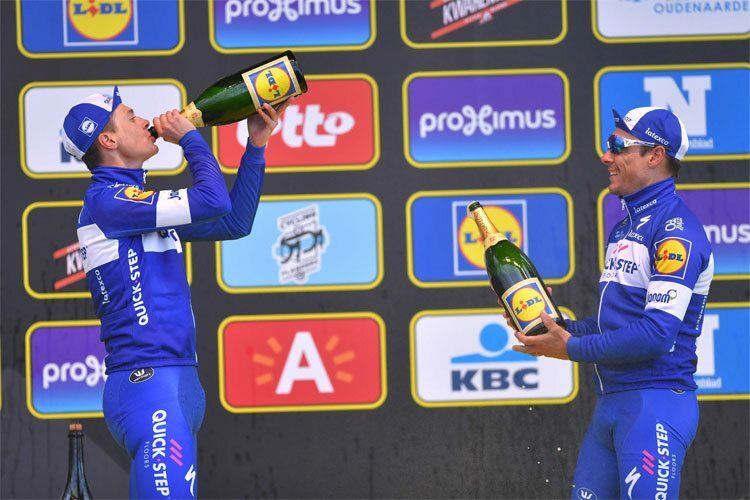 Placing three riders in the top 10 – Niki Terpstra, Philippe Gilbert and Zdenek Stybar – at Ronde van Vlaanderen, a race which our team has won for the seventh time, helped Quick-Step Floors extend its lead in the World Tour standings to nearly 1500 points. There weren’t many big races that Anna van der Breggen hadn’t won yet, but Tour of Flanders was one of them. That is, until today. After a fantastic solo of about 25 kilometers, the Olympic champion had plenty of time to throw her hands up in the air when she was fit first to arrive at the finish line in Oudenaarde. Amy Pieters sprinted to second place in the chasing group, after showing her great strength throughout the day. And the success for Boels-Dolmans Cycling Team didn’t stop there. World champion Chantal Blaak sprinted to fifth place and Megan Guarnier took tenth. Four riders in the top ten, including the winner and a podium place, is a great achievement in one of the most important spring classics on the calendar. Pieters confirmed that strong teamwork was a big plus in the superiority that Boels-Dolmans showed today and the reason the victory eventually went to someone from within the team. “We did extremely well as a team today,” she said. “We took to the start with any option still open, which makes us very strong. We are all capable to finish it off and we all like to see each other win, which makes us strong. With her podium finish, Pieters takes over the lead in the overall Women’s WorldTour standings. The UCI Women’s WorldTour continues with the Amstel Gold Race on April 15.